Long gone are the days when people used to rush to Africa for game hunting safaris and jeep safaris. Nowadays there are multiple wildlife destinations in India which are protected by the ministry for tourism purpose that provides striating jeep safari options. Whether you want to go deep in Keoladeo or follow the big cat in Jim Corbett National Park, a trip to wildlife reserve of India is a life changing experience. A wildlife safari is worth every penny spent. Here is our pick of best wildlife destinations in India where you can experience the best jeep safari. In India, fortunately, there are many national parks to experience wilderness but the best and most accessible amongst them is Ranthambore. Needless to say, that park is famous for spotting tiger but other than the wildcat here you can see deers grazing on the green pastures. Here, you can see hosts of birds like a kingfisher, sandpiper, jacana, saras crane, fowls and many more. 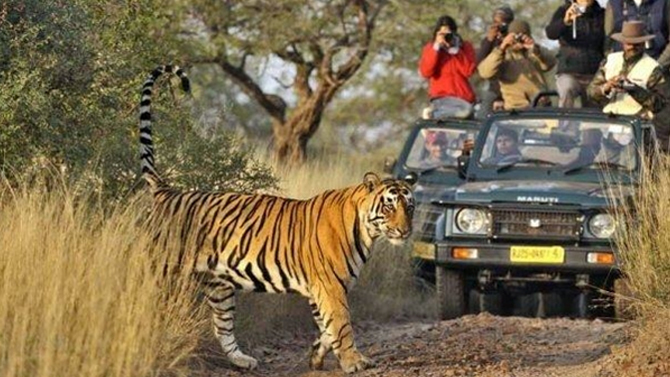 Jeep safari tour in Ranthambore will take you to some interesting tiger haunts along with many ample photo options. You can also see the grandeurs of Rajasthan even in its wildlife reserves. Jeep safari will take to some fascinating places in Ranthambore that are waiting for the attention of many tourists – Ranthambore fort, Ganesha temples and Mahadev temple. This jeep safari might show you some famed tiger and tigress namely Krishna or T-19, Suraj or T-65 and Noor or T-39 with her two cubs. As a kid, we all used to love watching colourful birds, formation of pigeons, peacocks dancing during monsoon season or the koel chipping on the newly flowered tree. 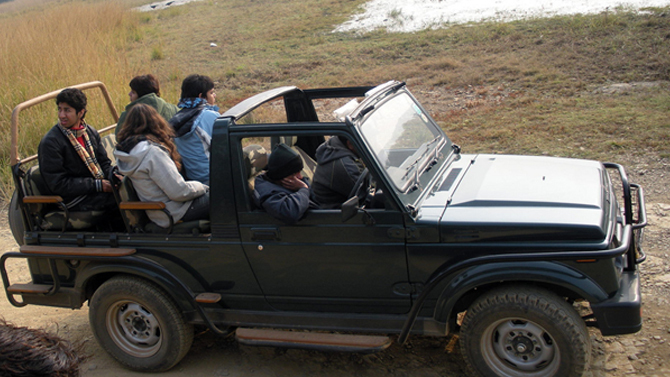 If you or your kid loves to spot birds then you should go for a jeep safari tour at Bharatpur National Park. The dense woodland of Bharatpur is home to more than 300 species of birds, of which Siberian Crane, Waterfowl and White Breasted Kingfisher are the most impressive. One of the best ways to explore this bird land is by traversing over a jeep safari. The jeep safari tour will take you to some palaces and lakes that were the home ground of bird hunters. Chances of spotting a tiger here are quite bright. Perched calmly in Karnataka, Bandipur is the favourite places for tourists who want love to see animals in their habitat. Here you will not be doing trekking or signing up for any lavish car, but in open air jeep safari. Rocky terrains, carpeted pastures, steep ridges make it a perfect habitation for birds and animals. Other than the wildcat, tiger, the sanctuary is also famous for an astonishing variety of elephants and deer too. 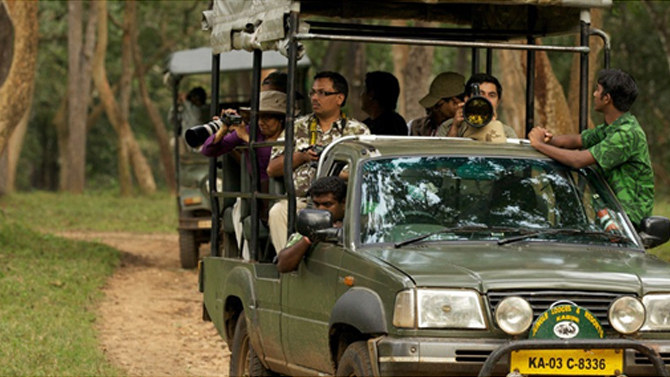 Jeep safari tour in Bandipur will take you to the wilderness of different zones. Rocky terrains of Bandipur are amongst the perfect place that boast of rich and vivid creatures. 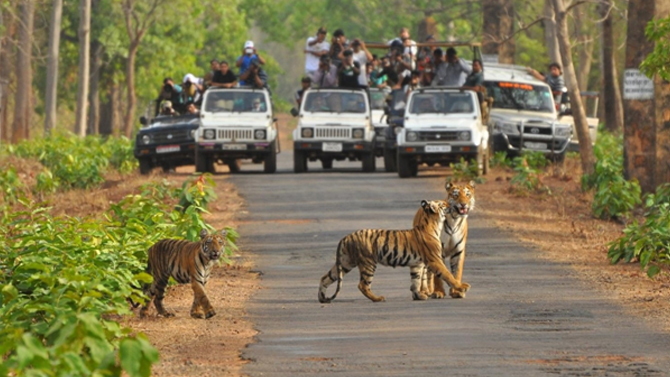 Tadoba National Park is the favourite wildlife reserve for adventurers, nature buffs and wildlife enthusiasts. Here you can indulge in sheer leisure and never know you may spot a tiger as well. Deemed as the “The Jewel of Vidharba,” Tadoba National Park is one of the tiger territories in India. Apart from tigers, here tourists can see Chausinga, Sambars, Barking Deer, Sloth Bear, Neel Gai, Indian Bison, Wild Dog, Wild Boar and Leopard. If you want to explore the best of the national park then it will be better to hop in a jeep. 36 gipsy cars are allowed to enter the park and hence prior booking is mandatory. The park is smaller in size and, therefore, the chances of spotting a tiger here are good. The national park offers the best wildlife viewing throughout the year..
Gir is rousing safari attention with stark beauty, marshy terrains, and evolving landscapes. 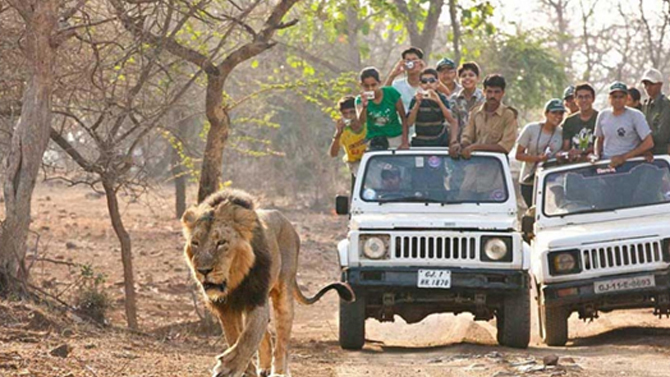 There’s something special spending a jeep safari tour in some of the best wildlife sanctuaries in India. Set against the marshy hills, the Gir National Park is the home of the endangered Asiatic lions. You can explore every nook and corner of the national park by hopping in a jeep or an open gypsy. Probably this is the only way to explore the national park. The forest is sprawled over the hilly region of Gujarat, half way between Veraval and Junagarh. The park is a great destination for birdwatchers too. The park is resident to more than 300 animals and birds. Come and experience the nature at its best! 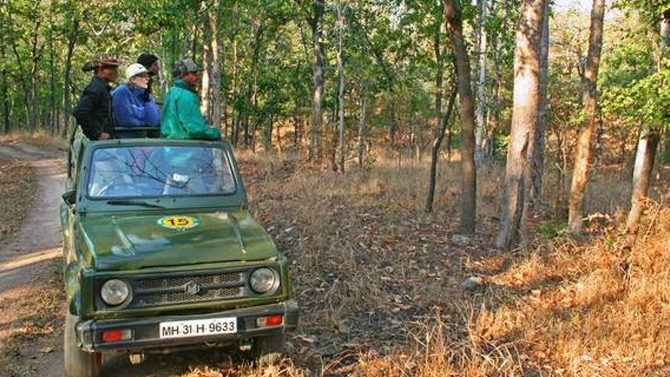 Pench national Park is an ideal retreat for those who are looking for an easy going jeep safari tour. What’s the most thrilling thing to do here? Well, it’s to go on a jungle safari. Some of the common animals that inhabit this forest include the leopard, jungle cat, hyena, fox, jackal, sloth bear, wild boar and a wide range from the deer family. Here, birdlife is equally bountiful. The feathered denizens of Pench include both resident and migratory birds like Malabar pied hornbills, Indian pittas, ospreys, grey-headed fishing eagles, white-eyed buzzards, storks, etc. 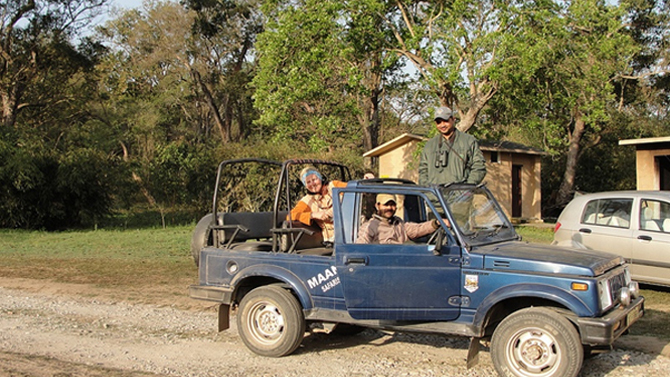 Prior booking of jeep safari is mandatory as there are limited safaris. Specific paths are maintained for the vehicle to make the guest watch wildlife. Never insist the guide to drive off the track as you may lose the track inside the forest. Next time, you plan a jungle trip then visit these enchanting places for the best safari. Call your friends, family, relatives and hit the road to embark on a journey to the jungles. The season’s coming!